But change is in the air. Curtis (Chris Evans), desperate to escape the tail of the train, plans an uprising, aided by his mentor Gilliam (John Hurt). What begins as an isolated riot explodes into a mass revolution, an all-or-nothing push to go to the front of the train, and a war for humanity’s future. Who will live and who will die? How far can they go? Is there hope beyond the frozen wastes? 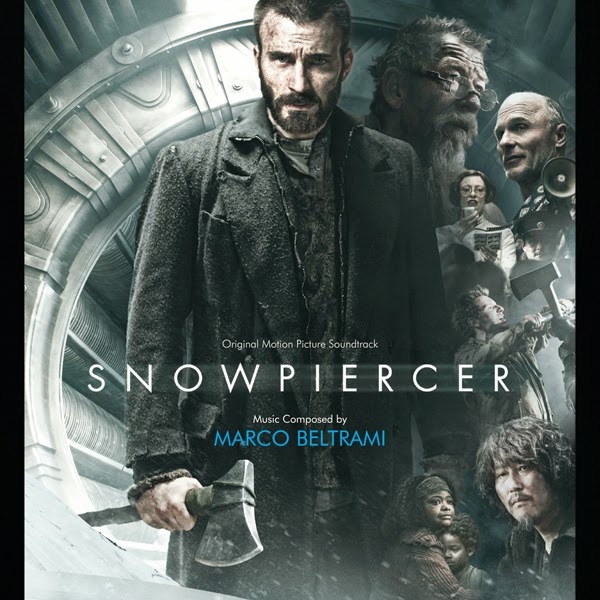 Varèse Sarabande Records will release SNOWPIERCER – Original Motion Picture Soundtrack digitally and on CD July 22nd. The soundtrack features original score composed by Marco Beltrami (THE WOLVERINE, WORLD WAR Z). The SNOWPIERCER - Original Motion Picture Soundtrack from Varèse Sarabande Records will be available digitally and on CD July 22, 2014. Just watched the movie last night! Incredibly original and really good.